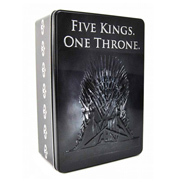 This Game of Thrones wallet is the perfect safe place for all of the essentials, including Gold Dragon and Silver Stag coins. 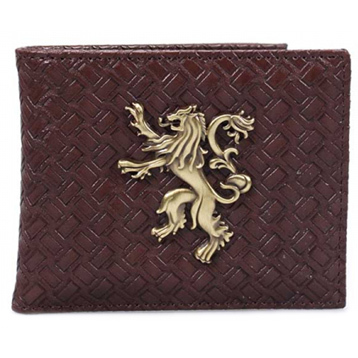 With a crimson leather look finish, the front features a silver metal badge in the shape of a direwolf, the Lannister house sigil, with debossed detailing. 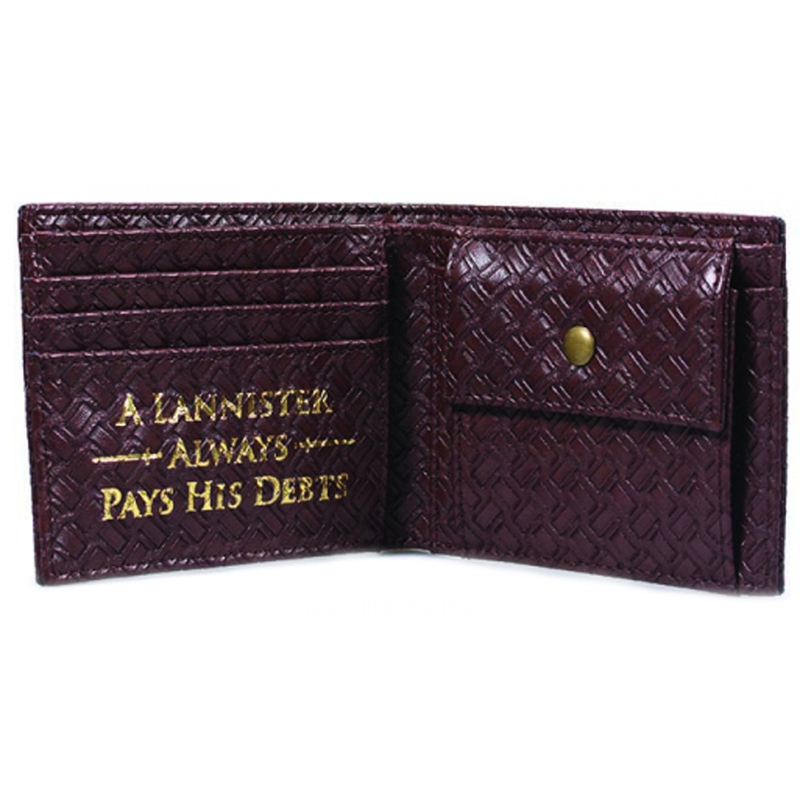 Internally, the Lannister house words 'A Lannister always pays his debts' are featured in silver foil metallic detailing. It has room for 3 cards, coins, two small slip pockets and a larger slip pocket for receipts and bank notes. 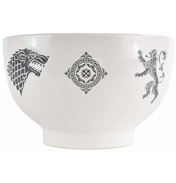 The grey lining features a repeated pattern of various house sigils in black. 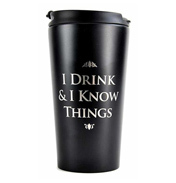 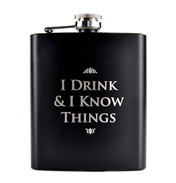 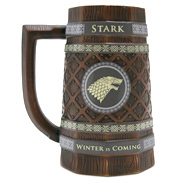 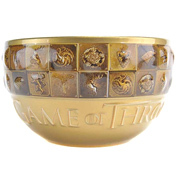 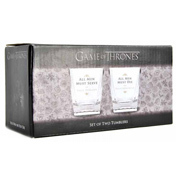 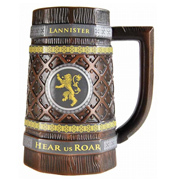 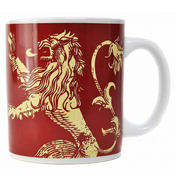 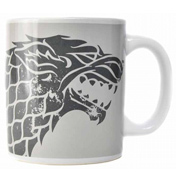 Packaged in a printed gift box, this makes a great gift for any Game of Thrones fan.